This Relay Box allows up to two devices to be independently controlled through the FlashCut CNC software. Most commonly used to turn on and off a spindle. 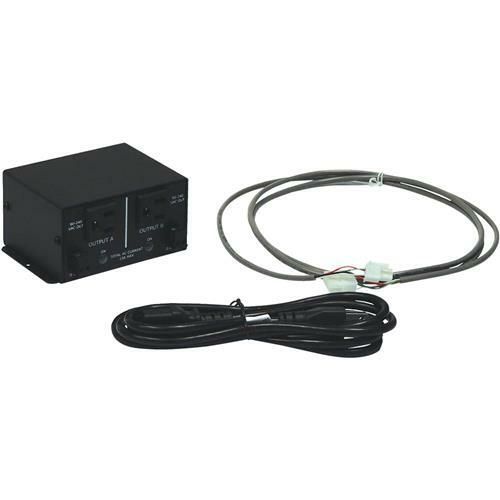 Includes two 110-240 VAC solid state relays - up to 15 amps total for both AC channels - and two switched relays for opening and closing AC or DC circuits up to 0.5A each. Please note that unfortunately this relay box cannot automatically turn the spindle on; it can still turn the spindle off and control other functions such as turning on and off the vacuum and coolant, but the spindle will need to be manually turned on from the mill. Please note: This item is a drop ship item, which means your order will be shipped directly from the vendor to you. This will not cost any additional shipping and Grizzly will still handle any billing or customer service questions and concerns.